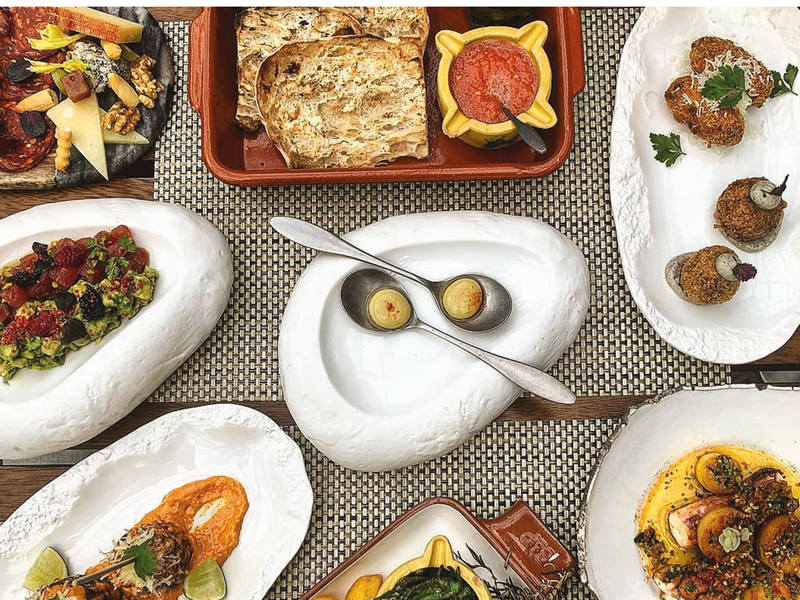 An alternative take on the usual UAE brunch scene, The Retreat Palm Dubai has launched a brunch with a detoxifying experience for the body, mind and soul. 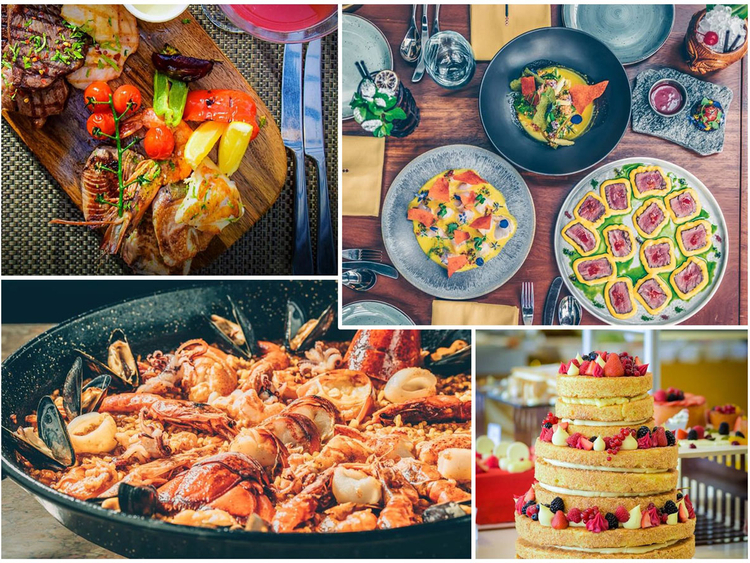 The new Detox Brunch at Vibe restaurant takes place every Saturday, offering a selection of nourishing and healthy dishes including meat, pescatarian, vegetarian, and vegan and Paleo varieties. The buffet-style feast offers nutrition-rich salads, Buddha bowls and a dedicated raw vegan herb garden as well as Arabic mezze and healthy tapas. There’s a breakfast corner, too. Those following a Paleo diet can take advantage of the home curing factory with several kinds of meat and fish available. There’s also a surf station featuring crab, mussels, oysters and a wide variety of sushi. Make sure you try the vegan rainbow burger cart which includes lentil, quinoa, sweet potato patties and activated charcoal buns, with nutty avocado spread. End the brunch with homemade ice cream, raw fruit based desserts and a refreshing spread of cold pressed juices, smoothies and naturally infused water. Turning up the heat another notch, La Carnita DXB announces its Fuego Friday Brunch and it’s kicking off this weekend. 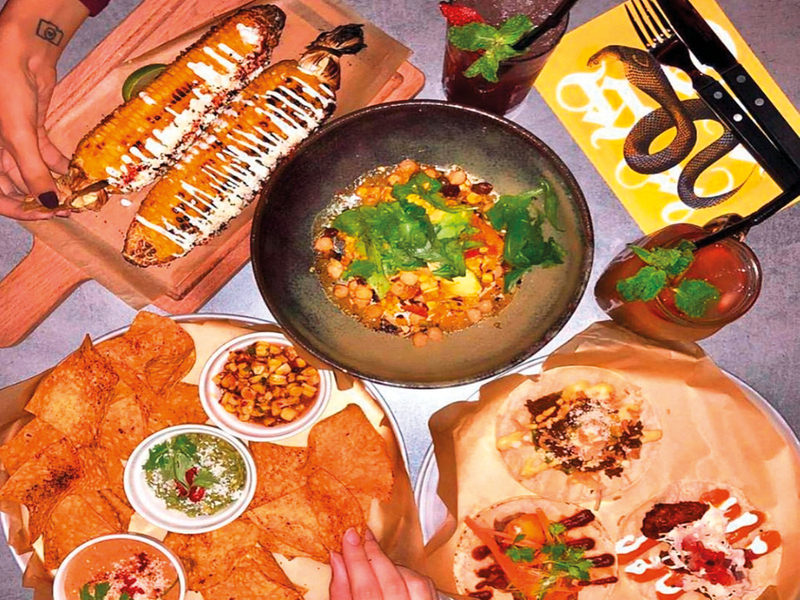 The Fuego Friday Brunch offers a sharing-style concept, where Latin American street food is served straight to the table. Brunchers can try a selection of starters including the scorpion wings, crunchy kale salad and chips and dip with guacamole. For main courses, try the sesame lamb chops that fall of the bone (literally), fresh sea bass fillet and a variety of tacos and tostadas bursting with flavour. Desserts do not disappoint with the classic churros and paletas both on the menu. With October’s Very Own’s DJ TJ on the decks playing the most lit Hip Hop and RnB tracks, Fridays will be fun at La Carnita. This brunch season, three separate brunch experiences have been wove into one. The Square, the licensed dining location at City Walk, presents a new level of al fresco brunching combining Toro + Ko, Lima Dubai and Galvin Bistrot and Bar. The brunch offers a mix of French Bistrot classics, Peruvian cuisine and Spanish Tapas alongside free flowing premium beverages. The brunch features three starters, one main course, and one dessert from all three restaurants, offering guests 15 dishes to share. 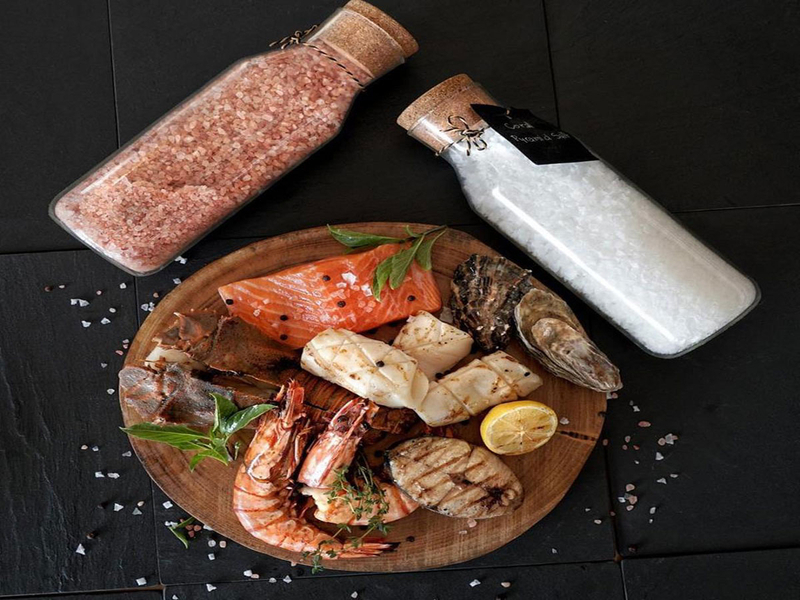 This evening brunch offers a selection of dishes like BBQ cuts and grilled seafood including Mussels, Alaskan King Crab Legs and oysters, as well as a selection of Sushi and Sashimi. Meat lovers can experience the beef from the outdoor smoker, which has been slowly cooking for 12 hours as well as the al fresco BBQ that serves up cuts and grilled seafood. Also on offer are a selection of steak, minted lamb chops, classic cowboy hot dogs and home- made burgers. Cost: Dh345 per person inclusive of food and soft drinks, chilled juices and water and Dh485 per person inclusive of food and selected house beverages. The kids package for children between the ages of 5-12 is priced at Dh170.